Buyer beware means PAY ATTENTION! Scams are out there! EVERYWHERE! Buyer beware means YOU PAY ATTENTION, not just the proverbial little ole ladies. YOU includes anyone involved in any kind of transaction including real estate transactions, including real estate agents, including real estate consumers. Here are a few examples of real estate scams that have been around for a while plus one or two that have recently popped up. Phony seminars – Don’t be seduced by an offer of “free” tickets and/or “free” gifts. The only people who get “free” tickets and/or gifts are people who pay to go to the seminar. And, don’t, under any circumstances, fall for the get rich quick scam that involves liquidating your assets and assigning those assets to some entity or business so you can get in “on the ground floor” of an “unbelievable” real estate investment in some exotic location. Renting empty houses – The house looks abandoned so the scammer says he/she is the owner of the house. The scammer gets all the locks changed, hands out official looking documents about the house, asks for cash up front and/or money to be wired up front for a security deposit, and rents the house to some too trusting, uninformed person. Then, the real owner comes home to the house and demands that the “renter” vacate. Renting a house that foreclosed and/or legitimately for sale – Either the foreclosed owner or the fake agent who has “lifted” a listing off another real estate site posts a fake listing on his/her website for much less money than the value of the home. The foreclosed owner and/or fake agent will take rent, deposits, give out fake phone numbers, give out fake property title deeds and will have the “renter” sign fake rental agreements. These are multi-layer scams. The renter losses his/her deposit AND loses all of his/her identity information! Loan modification scams – This just happened! The scammer hacked into the real estate agent’s email account and learned that a client couple had decided to purchase the home outright rather than utilizing the down payment/loan program set up with the bank. 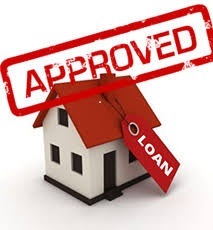 Just before the close, the scammer contacted the couple with the realtor’s email address saying that the lender needed an additional closing fee by wire transfer to the “realtor” to cover the newly modified loan agreement. If that wire transfer had gone through, the real realtor would have been libel to pay back the client couple for that fake fee. Professional association scams – This just happened! An outfit in Florida somehow stole the Florida Realtors Association member list and contact information, created a fake website, created a fake logo, created a fake letter, created a fake bill, and emailed all the real estate agents in Florida to pay this fee to this fake outfit. The outfit threatened members that either their listings and/or their licenses would be revoked if the agent member did not pay the fake fee within a very short period. So, how do YOU pay attention? *If something sounds too good to be true, it probably is. *Avoid cash and/or wire transfer transactions – there is NO recourse. *Avoid redirecting payments from a mortgage company to a lender’s agency. *Avoid handing out cash/wiring funds to any third party. *Research property you intend to rent/buy. *Safeguard personal/financial information – do not put it online or in email. *Out of country scammers are immune to US law. *Take your time, ask lots of questions, listen to your gut. * Work with real estate professional on ALL real estate transactions. I hear stories of people getting scammed. Many times its because they think by NOT using an agent, they’ll save money when in the long run it actually costs some folks a lot more. At TeamHeidi we have safe guards in place and are educated on how to protect our clients. Call us today, we’ll look out for you’re best interest, after all you are our #1 priority! !